Sardines are a fantastic source of omega 3 fatty acids. But many people avoid them, saying they are too "fishy". 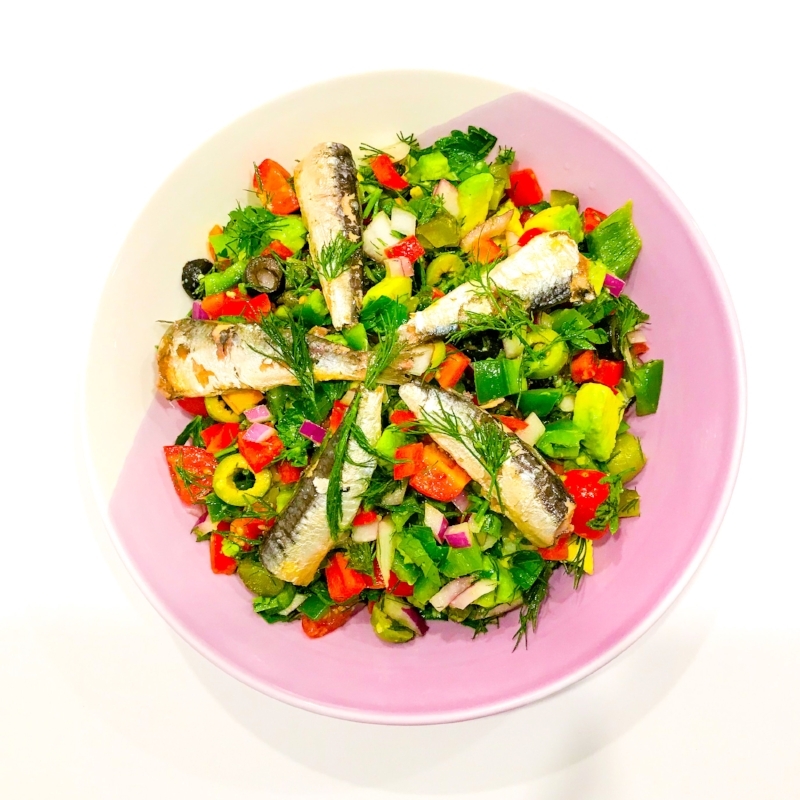 This salad has lots of BIG flavours to balance out the sardines. Combine all salad ingredients (except sardines) in a bowl. Add dressing and toss to combine. Divide into serving bowls and top with sardines. Or if you are a sardine scaredy cat, chop the sardines and toss them through the salad. Then taste the salad and if it is still to "fishy" add in the seeded mustard and diced jalapanos!